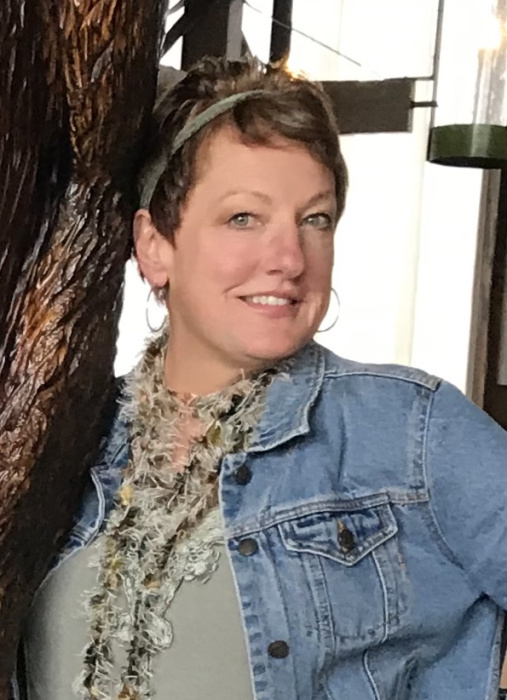 Corrine Kay Lewis, 58, of Navarre, passed away peacefully but sadly and very unexpectedly late Friday morning, April 5, 2019, following a brief illness. Born in Massillon, March 29, 1961, a daughter to Carl L. and Elizabeth M. (Grant) Baker, Corrine graduated from Fairless High School with the Class of 1979, and was a majorette in the FHS Marching Band. She attended St. Paul United Church of Christ in Navarre and was employed as the parts sales and operations supervisor for Complete Hydraulic Service in Bolivar. Corrine came from a large family. She placed her parents, her siblings and her extended family at the center of her life. Her energy and enthusiasm came from them and she loved each of them dearly in return. Never shy about taking on a project, she was a hard worker and never quit until she knew the job was done right. Being outdoors, biking on the towpath, hiking, camping and swimming are things she always enjoyed. She loved to dance; loved listening to music and had a special fondness and compassion for animals, especially dogs and cats, many of which were rescues she welcomed into her home and her heart. Predeceased by her father; Corrine is survived by Bill Lewis; her mother, Mrs. Elizabeth Baker; sister, Carla Thompson, of Strasburg, brother, Lyndall (Kinda) Baker, of Baytown, Texas, sisters, Laurie Cimrhanzel, of Manvel, Texas and Lisa Baker, of Stone Creek, Ohio and brother, Chris Baker, of Firestone, Colorado. She is also survived by a special friend, Don Kilgore, of Navarre, and an extended family of very dear relatives and friends. A private burial will be followed by a memorial service open to all, beginning at 12:30 P.M. Friday, April 12, at St. Paul UCC in Navarre with Rev. Brent Gundlah officiating. The family will receive condolences Friday morning in the church following the burial and prior to the service, from 11:00 A.M. – 12:30 P.M. Arrangements have been entrusted to Atkinson Feucht Hare Funeral Home in Navarre. Your flower arrangements are always welcome, however it was Corrine’s wish that contributions made in her memory would benefit Kaleidoscope K-9s, PO Box 423, Seville, Ohio 44273.